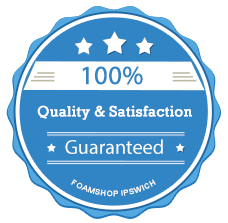 Trading since 1969, The Foam Shop based locally in Kesgrave, Ipswich is a family based business priding ourselves on our friendly but professional attitude. 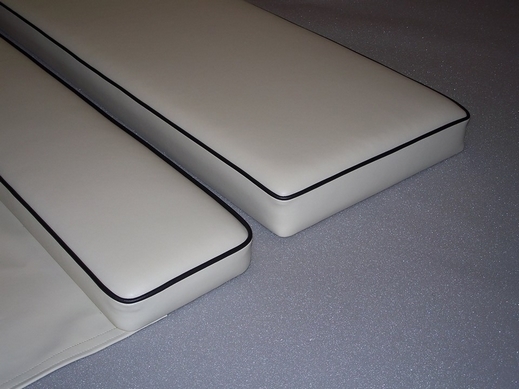 Priding ourselves on our specialised Boat and Yacht Upholstery Service we provided a professional cushion making service to any size and shape including cut outs, curved and chamfered edges to fit the hull ir bull nosed fronts. Getting tailor made cushions and mattresses for your boat or yacht isn’t one of the easiest tasks. With a lack of companies who can actually provide the foam and ability to cut it to your sizes and shapes the process can seem quite daunting before you have even thought about water proof covers, vents and fixings let alone comfort! The Foam Shop has produced upholstery and cushions for cruise ships down to rowing boats. 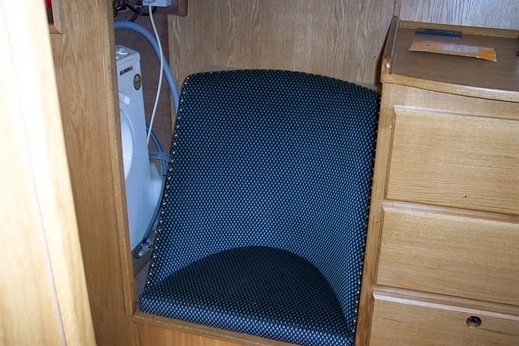 Every cushion and cover is tailor made to fit your boat and design specifications. We can supply new cushions to replace seat and mattress foams that have collapsed and become uncomfortable; also many older types of foam are not fire retardant, so we would be bringing your cushions up to a safer standard. 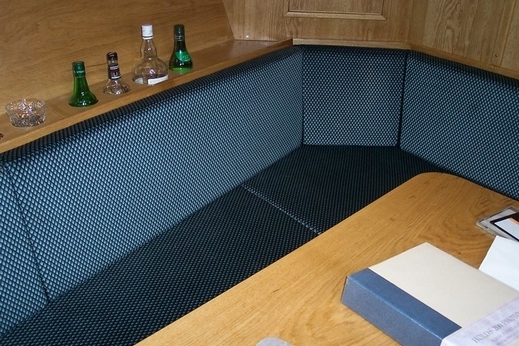 The cushions can be cut to any size or shape, have cut outs, curved or chamfered edges to fit the shape of the hull and can be fitted with a stockinette cover and fitted back into your original or new exterior covers. The foam options you have available are high quality and durable foams in soft, medium and firm densities, luxury reflex cushions and mattresses and sandwich mattresses. If you are looking to change your cushion covers to something more practical or hard wearing we have a large range of vinyls, chenilles, velvets, flat weaves and patterned fabrics. The range also includes specialist acrylic canvasses and mattress ticking. 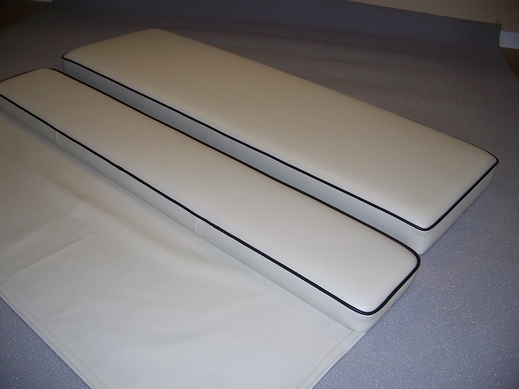 We can also fit PVC mesh bottoms to your seats so they can breathe whilst in use. Seating area in a boat that has just been completed. We made new seat cushions and in these we put a Regal luxury firm foam with stockinette under covers on. For the back cushions we used a back foam again putting stockinette under covers on. The covers were made out of the customers own fabric. We did plain sewing with fitted zips at the back and bottoms of the cushions. The overall finish to your boats new look really depends on personal choice and preference. Example Boat cushions that we have just finished. These were for a wheel house, so we used a vinyl covering. As they were piped we used a different colour for the piping, which then brought the cushions to life. We put a Regal luxury firm foam in these with stockinette under covers before putting into the covers. We put fitted zips along the back edge, finishing with air vents to expel the air. The replacement service is easy to get underway. We can make the new cushions from templates, measurements or existing covers where appropriate. Once you have chosen your ideal type of foam you would need to contact us. Have I chosen my foam? Am I having new cushions and covers? Have I got all the dimensions of the cushions I would like to replace? If I’m having new covers have I got the new fabric or do I need to order it from the foam shop? Would I like piped or plain edges? Do I need zips or fastenings on my cushions? Do I have any other special requirements? * Please note we cannot make new covers up from old foams, the collapsed and out of shape old foams do not give accurate details of the sizes you need. There is no point spending the money to achieve a new look and have the wrong sizes. We highly recommend you start a fresh with new templates and measurements.